Inspiration comes from the love and understanding of life. The most external appearance in life is color, and the sensitivity to color more or less reflects people's love for themselves, for nature, and for the world. Just like the unique azure mosaic matching the natural solid wood, lined with white walls and ground, the orange color is dotted, people can't help but think of the blue sky and white clouds, the sunny beach, relax naturally, and feel the joy of bathing. Indulge in the color, away from the hustle and bustle of the world. 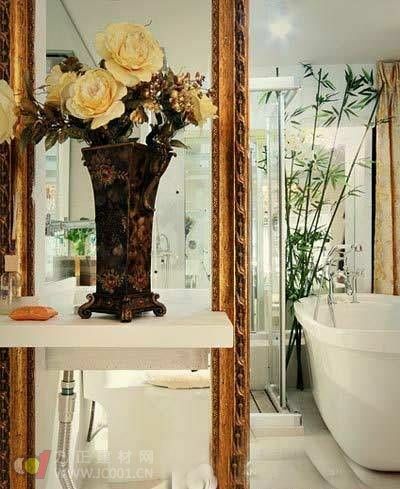 If the color is used properly, it can change the atmosphere of the whole bathroom space, to be bright and not kitsch, fresh and fresh, yet peaceful and not forgetting the personality. The storage shelves are all embedded in the wall, framed by solid wood, showing a warmth of happiness in both color and texture. 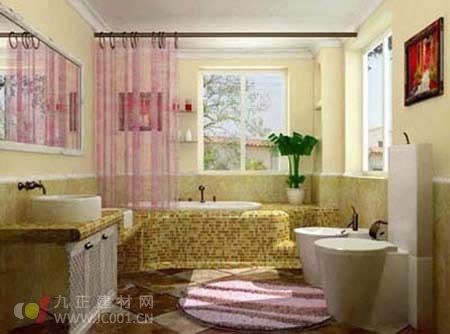 In the collocation, it is necessary to emphasize the unity and the sense of integration. The sanitary ware shape, the placement position and the sensory dislocation and alienation brought by the light will bring different feelings to the master. The white washbasin on the blue countertop is fascinating with elegance and meticulousness.